4.2 acres may be able to hook up to existing sewer. In the heart of Mt. Pocono of PA...one block from Route 611, Route 380 and Route 80. 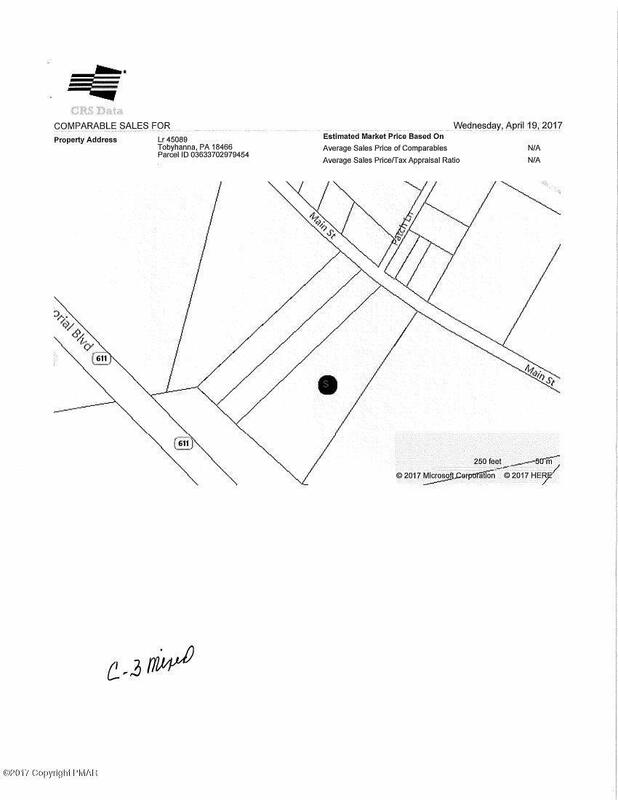 Not far from industrial park, local shopping and shops.Ask Listing agents for list of township approved business and how much it would cost to hook up to existing sewer. approx 4.2 acres of woods waiting for you and your business. zoned c-3 commercial.